New year, new agenda, and a new journal. This is always one of my favourite things. Unwrapping a new journal and getting to set all my hopes and dreams on the possibility of these blank pages. I have been keeping a journal since I was 13 years old. I am currently finishing up Volume 27, a large, hard cover, lined Moleskine journal started on November 17, 2014 and which holds one of the most topsy-turvy years of my life. Keeping a journal is easy enough as long as you have some good paper and a decent pen. I bought a pack of Uni-Ball roller pens a while ago and have been working through them. They write very well and seem to last forever. Volume 28 is something new. 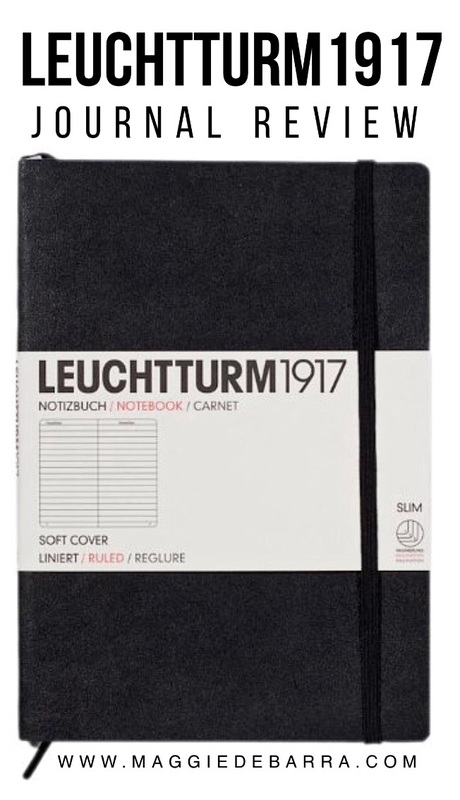 A soft cover, lined Leuchtturm1917 notebook. This is my first Leuchtturm notebook and I picked it up from DeSerres for about $20.00. It’s a little wider than the Moleskine notebooks and agendas but the height is the same. The cover is soft like my agendas and about the same thickness. It’s 121 pages, noted at the bottom right which is very convenient. It also has a table of contents at the front. It is black bound, with an elastic to keep it closed and a ribbon bookmark just like the Moleskines. So yes, it is new and different but it’s exactly the style I know and love. I was hesitant to get another Moleskine again because they have so many pages and it takes me about a year to run through it. I was looking for something less permanent but I didn’t want to sacrifice on quality. I have tried the Moleskine Volants and Cahiers before, which I really love, but I didn’t want to rest on my laurels. I have been reading a lot about a weird trend called Bullet Journalling which is a style used by people who have entirely too much time on their hands. Basically they take a journal with a dotted page layout and then they take a pen and a ruler and mark it up to the high heavens. There doesn’t seem to be any rhyme or reason to it and it just seems chaotic to me. I think I have everything I need using my agenda and my journal in tandem, and I just don’t get why you would want to spend so much time creating and drawing your own layouts when journals and agendas, especially my favourite Moleskine agendas, already have such a good system of layouts: monthly and weekly pages plus they have lines on the right pages for lists and notes. Why re-invent the wheel? And so, I have a new journal and a new agenda and all is right in the world. Here’s to Volume 28, and counting. This entry was posted in Writing and tagged Journals, Leuchtturm, Leuchtturm 1917, Moleskine, Notebook, Writing. Bookmark the permalink.